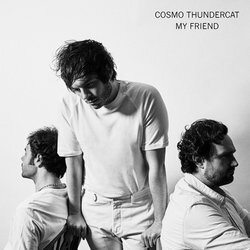 Cosmo Thundercat make music with a raw and honest personality. Lead vocalist and guitarist Anthony, bassist Sammy, and drummer David’s friendship lays the creative foundation for the Adelaide alt-rock outfit. Anthony has described their new single My Friend as a feverish letter to a friend that possibly has no idea you have crossed their mind. It’s about that frustration of knowing you are alone in those thoughts. With a captivating and emotive live show, the band has supported the likes of Gomez, Husky and British India. The band’s previous releases have seen rotation on Australian tastemaker Triple J radio. “My Friend” is a captivating track with an underlining depth. The essence of the song was inspired by the overwhelming emotions felt when someone in particular consumes your every thought. “My Friend” depicts a certain sense of desperation, felt through layers of evocative rock sounds and explosive rhythms.